As the lone rookie on an otherwise veteran team, Jarod Bull led the York Yaks to a regular season title in Mid Atlantic Wiffle in 2017. The towering right-hander gained steam during the summer, including one three-tournament stretch where he allowed zero runs over four games (17 innings) with forty punch-outs. Bull is MAW’s best-kept secret and is more-than-ready to test himself against some of the game’s better hitters. Bull brings a calm, business-like demeanor to the pitching rubber. His straightforward and smooth delivery belies the explosiveness of his pitches. His best and most consistent offering is a screwball that breaks down and in on right-handed batters. The pitch has enough movement – and is mixed in with his other offerings well enough – that he has been able to get away with throwing it down the heart of the plate. The Yaks’ ace also utilizes a hard slider and will drop down with sidearm action on occasion for a riser or drop. The side arm delivery is a particularly great weapon against right-handers and his ability to throw multiple pitches from the arm angle keeps batters guessing. The Yaks were judicious in their use of Bull last season, limiting him to 38 innings in MAW competition and another dozen innings outside of the organization. Their plan paid dividends as Bull stayed strong throughout the entire year and spearheaded a midsummer charge for his team that moved them from near the bottom of the standings to the top. Similar to his pitching style, Bull uses a simplified approach at the plate. His no-stride swing is helpful in allowing him to stay back on high-movement pitches. Given his size, his lack of power last season in MAW – just one double, triple, and home run each – was somewhat surprising and might be related to the no-stride hitting approach. He still managed a respectable batting average and sprinkled in a few timely hits. Defensively, Bull fields his position very well, a by-product of finishing his motion in a solid fielding position. Blake Hoffman might only have a couple of tournaments under his belt, but he is no newbie with the Wiffle Ball. The teenage southpaw spent years honing his craft by studying videos of the game’s best pitchers and applying what he learned to his backyard throwing sessions. That practice paid off as Hoffman more than held his own against some of the game’s better players at the MAW Winter Classic this February. The scary thing is he is likely only going to get better as he gains more tournament experience. My Name is ERL’s lanky left-hander has a simple motion that he’s able to repeat with relative ease. He hides the ball well and he starts from the same general arm slot for most every pitch, making it difficult for batters to read what is coming. With left-handed pitchers being such a rare commodity in this game, Hoffman holds an inherent advantage over opposing batters. He adds to that advantage with a quality screwball/drop that comes right at a right-handed hitter before darting down and away. That pitch from a left-hander is not something hitters have to deal with often, which makes Hoffman extra tough to hit. At the Winter Classic, he mixed in an equally challenging low riser that drew a lot of looking strikes. By his own admission, Hoffman does not throw that pitch often but had it working in Medford so he leaned on it more heavily than he otherwise would. That is a clear sign of his pitching acumen. This is no crafty lefty, either – Hoffman brings plus velocity and thus far has been able to maintain it deep into tournaments. The most popular upload on Hoffman's YouTube channel is not one of his pitching sessions, but rather a highlight video of Aroldis Chapman's 2012 season. Like Chapman, Blake combines plus movement with plus velocity for what amounts to a deadly combination. He has good control of his pitches but still has room to improve his command within the strike zone. His pitch selection is another area where he has room for improvement, which will likely come with more experience against quality hitters. At the plate, Hoffman is more of a work in process. He has a smooth swing but at times it appears to be a little long through the zone which hurts his ability to make contact against higher velocity pitchers. His pitch selection can also be improved on, which again, is something that should improve with additional experience. The plan is for Hoffman to play in several Mid Atlantic tournaments this summer alongside his My Name is ERL teammates (the long commute from Ohio might limit the total number of dates he is able to make) and if all goes well, he’s going to get a lot of Rookie of the Year votes come September. At just 17 years old, Jeter Larson is already considered by some to be the best all around player in JAL, Washington States top Wiffle® Ball League. The Lacey, Washington native made his pro debut as a late-season signing with the Castle Rock Rapids during JAL XV. Jeter signed too late in the season to turn around the fortunes of the cellar dwelling Rapids but proved his value by leading the Rapids to a title in JAL XVI this past summer. Jeter’s twin brother, Ryley, plays for the Kansas Lawman and together they are northernmost players currently signed with a JAL Franchise (Lacey is approximately one hour outside of JAL’s home base in Castle Rock). Larson makes his living with a hard non-scuffed riser and pinpoint command. He works both sides of the zone horizontally while largely working up in the strike zone. His ability to hit the edge of the zone make Jeter particularly tough to hit, especially with JAL’s “one pitch per batter” rule. He appears to get more looking strikeouts than many of his JAL peers which is a testament to his ability to locate his pitches where he wants them. When he does miss over the heart of the plate, his slider has enough zip behind it that he can get away with the occasional mistake. Jeter employs a simple one step motion that is easily repeatable. While he would no doubt need a second and even third pitch to compete at a high level in a 4-2, 4-3, or 5-3 count organization, Jeter’s hard slider is clearly a plus pitch and a great base to build off of. At the dish, Larson’s swing has a slight uppercut action to it but that doesn’t necessarily hamper his bat speed. He has above average power, as demonstrated by his no-doubt solo homerun in the championship game of JAL XVI. Larson’s best tool at the plate might be his strike zone knowledge. Even in a one-pitch environment, Larson doesn’t swing at too many bad pitches. That discipline works for him in JAL and likewise would serve him well in a more traditional ball-strike count environment. 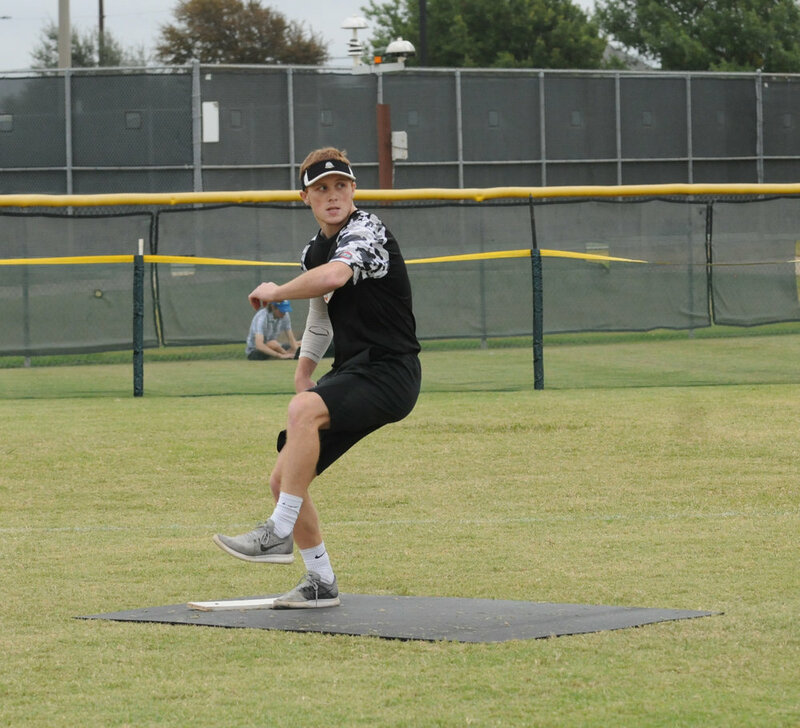 Will Marshall was a star player in his own Texas Wiffleball League for many years before breaking out on the national scene in 2017. Marshall’s velocity is his greatest and most obvious tool. A hard thrower to begin with, his pitches play up even more thanks to his deceiving frame and compact delivery. Marshall’s riser lacks the movement necessary to make it a plus pitch but the velocity allows it to remain an above average offering. His best pitch is a tailing dropper with a slight fade away from right handed hitters. He has command of both pitches and is able to locate them in and around the zone as needed. Marshall – who has plans to play semi-pro baseball in 2018 – is an excellent athlete and capable of getting three to four games deep in a tournament without any noticeable decline in stuff. The right hander from Frisco is still trying to find the best way to prepare the ball to achieve his desired results. A key to his future success may rest in his ability to find the ball and grip combo that gives him the most movement possible on his riser. In any event, Marshall can already stake a claim as one of the best active, full time pitchers outside of the northeast corridor. He has room to grow into one of the top pitchers in the nation. As a timing device while at the plate, Will lifts his feet up and down in a stationary walking motion before the pitcher goes into his delivery. While his hands and the bat stay relatively quiet by comparison, the jittery set up makes him susceptible to both premium velocity and big breaking balls. Marshall has quick hands and a smooth swing, which would indicate significant power potential waiting to be unlocked. Marshall is already a disciplined hitter but like many young players he could use additional reps against high level pitching to improve his pitch recognition skills. Given his athleticism, Marshall should be an above average defender. He is quick on his feet and has demonstrated the ability to make throws from the furthest parts of the infield with relative ease. At the Fast Plastic Texas Open, his defensive miscues were largely mental errors – the result of acclimating himself to the non-running version of the game. In all likelihood he will be an above average defender in the near future with his quickness and strong arm giving him the upside of an all-star caliber fielder.